management attention attracted by purpose driven startups have a ripple effect. The multinationals respond by changing their own business practices and policies, restructuring to compete effectively—and often do so by acquiring pathfinding startups and purpose driven ventures. In a report, Accenture, the consultants, recently made the point that established companies of tomorrow will behave more like their disruptive, smaller competitors of today. Deloittes, another consulting behemoth also said this year, that, “Purpose (my italics) is deeply embedded in the organization of the future. Amazon’s purchase of Whole Foods in 2017. First of all, it’s true that there is a trend in strategy disruption. In response, big companies either change course by adding smaller companies to their portfolio, or by altering their own business practices to better meet evolving social expectations, becoming more entrepreneurial themselves. Some establish venture funds to attract innovators in their sectors (see the Venture Founders Directory of Corporate Venture Capital). Some companies are better than others at absorbing entrepreneurial businesses. When Coca Cola bought Honest Tea, I had the impression that since Seth Goldman, one of the two purposeful founders, stayed with the business he would make sure that the multinational would keep its promises—and learn from the subsidiary. 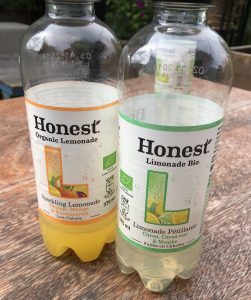 “So indeed, the Honest brand is more ‘Honest’ today than when we started 20 years ago. And our impact is significantly larger too—to give you a sense of scale, the year before Coke invested, we were donating $30,000 in Fair Trade premiums—last year that number was $530,000. And we’ve also extended our reach—having just launched Honest Kids in the McDonald’s Happy Meal, so lots of positive things going on.,” he reflected. “It shows that the Coke folks have embraced our approach to organics as well as lower calorie, while also demonstrating an entrepreneurial approach to expand the brand.” This is six years after Coke took control. Another purposeful founder, Jeffrey Hollender is a leading authority on corporate responsibility, sustainability and social equity. In late 2016 Seventh Generation, the company he founded, was acquired by Unilever. At the time, the multinational commented that by adding Seventh Generation to their portfolio of purpose driven brands like Ben & Jerry’s and Dove, it demonstrated their continued commitment to the Unilever Sustainable Living Plan (introduced in 2010). Paul Polman, CEO until the end of 2018 and a leading strategy disruptor, is quoted as saying at The CEO Force for Good Investor Forum in February 2018, “Business needs to be an active contributor to finding the solutions that have an impact on society. After all, if business cannot show what positive impact it has, why should the citizens let this business be around?” The CEO Force for Good is a CEO led coalition that believes that a company’s social strategy—how it engages with key stakeholders including employees, communities, investors, and customers—determines company success. It was founded by Paul Newman in 1999. Unilever now has 26 ‘sustainable living brands’ (up from 18 in 2016). New entrants include household names such as Vaseline, Sunlight, Sunsilk and Wall’s. The list also includes Unilever’s top six brands – Dove, Lipton, Dirt is Good, Rexona, Hellmann’s and Knorr—and its B-Corp certified brands include Ben and Jerry’s, Seventh Generation and Pukka Herbs. It’s interesting to know that over the last four years, the company’s sustainable living brands have outperformed the average rate of growth at the company. In 2017, sustainable living brands grew 46% faster than the rest of the business and delivered 70% of Unilever’s turnover growth. In the natural cosmetics market, Estée Lauder bought Aveda in 1997, a company started in 1978 by the purposeful founder Horst Rechelbacher, a pioneer of holistic beauty and author of the 2005 book, Alivelihood: The Art of Sustainable Success. In the book, he stresses the importance of creating businesses based on ethics, trust, and respect. Estée Lauder asked themselves, “What Kind of Future are We Creating?” In last year’s report on sustainability and citizenship, they answered, “We come back to that question again and again as we innovate—in service not only to our business, but also to communities, the environment and the people we touch worldwide. In 2016, we accelerated our efforts to realize a future aligned with our vision.” They also state that they aim to build “a sustainable business based on uncompromising ethics, integrity, fairness, diversity and trust”. When Horst sold Aveda, he considered that “the sustainable and socially responsible business practices and products could help to turn the direction of Estée Lauder.” It is hard to verify facts at a company with so many brands, and for instance in May 2018, Estée Lauder was not a cruelty-free corporation as some of their brands are sold in Mainland China where animal testing is required by law for all imported cosmetics. Six Estée Lauder brands, however are PETA certified cruelty-free: Aveda, Becca Cosmetics, Bumble and Bumble, Le Labo, Smashbox, and Too Faced Cosmetics. Aligned with the idea of using business as a force for good, Danone announced in December 2015 a partnership with B Lab (nonprofit organization that serves a global movement of people using business as a force for goodTM) aiming to define a path towards B Corp certification for multinationals. Nine of Danone’s subsidiaries have become Certified B Corps, representing about 30% of total Danone sales: Happy Family in the US, Danone Spain, Danone UK, Les Prés Rient Bio (Les 2 Vaches brand in France), Danone North America, Danone Canada, Aguas Danone Argentina and Aqua in Indonesia, and Alpro of Belgium. Other big companies with B Corp subsidiaries include Campbells, P&G, Unilever, and Gap. I remember organizing a conference call to Rob Michalak, Ben & Jerry’s Director of Social Mission, with my MBA students in 2012, when Ben & Jerry’s became a certified B Corporation, as a Unilever subsidiary. What surprised and delighted students over five years ago, was to hear Rob describe how open Unilever was to the process of Ben & Jerry’s becoming certified as a B Corporation. It was mainly because of the concordance of Unilever strategy with the underlying concepts of the B Corp movement. Rather a different story concerns L’Oréal’s purchase of the ethical retailer, The Body Shop in 2006. Under the multinational’s ownership, the Body Shop went downhill, with many new entrants to the ethical cosmetics market and major store groups picking up natural cosmetics sales. Probably sighing with relief, in September 2017 L’Oréal finalized the sale of The Body Shop to Natura Cosméticos of Brazil at a price not wildly different to what L’Oréal had paid for the company about ten years before. In 2014, Natura itself was the first quoted multinational to become a certified B Corporation, so The Body Shop may regain its position as a premier natural cosmetics company. Notwithstanding these strong impressions of impact of multinationals by smaller purpose driven companies, it has been interesting to me that several of the big boys, whom I contacted to open a dialog, failed to respond. Procter & Gamble acquired New Chapter in 2012 and installed a new CEO from the parent company. The current CEO is also a P&G executive. However, under its new ownership, New Chapter’s stated mission remains (in 2018): “To deliver the wisdom of Nature, thus relieving suffering and promoting optimal health; to advance the organic mission, nourishing body and soul with the healing intelligence of pure whole foods and herbal supplements; to nurture and sustain Mother Earth, the source of natural healing; to honor and reward personal growth, for enlightened teamwork depends on the vitality of every member of the New Chapter® family.” New Chapter is itself a B Corporation, becoming certified in 2014. My attempts to speak with P&G’s senior management failed, so I don’t know the extent to which either the subsidiary or the parent company consider they have been impacted. Despite my positive view of Coke’s acquisition of Honest Tea, I was surprised to find that Coca Cola has an association with the Cayman Islands tax haven: its Seagrams Ginger Ale labels announce that the trademark is the property of LDI (Cayman) Ltd. I could get no comment on that either. Other corporates, such as Clorox and Colgate did not respond to my inquiries either, though Clorox does have a very comprehensive and convincing Code of Conduct, which stresses personal integrity. Clorox is also a signatory of the United Nations Global Compact, a community of global leaders committed to sustainability, so I was surprised not to hear from them. One of the most interesting acquisitions to follow is the Amazon purchase of Whole Foods Markets, since there is a lot of information forthcoming about the consequences. Amazon Prime members get discounts on Whole Foods Market products, in store Amazon promotions were evident right after the acquisition closed and on the same day many Whole Foods prices were reduced, for instance. I have been offered three different Whole Foods apps by Amazon. Two of the biggest impacts concern the online grocery business, with other majors scrambling to jump in—and on the Amazon stock price that almost doubled in a year. Paul Hawken’s 2007 book Blessed Unrest, was an examination of the worldwide movement for social and environmental change. In an appendix he listed hundreds of NGOs, individuals and organizations seeking to change the world for the better, and as the NY Times reviewer, Robert Sullivan, pointed out at the time, that the movement was “about shared beliefs, even if those beliefs are unproclaimed”. Borrowing from Hawken, I observe that business founders who aim for purpose as well as profit are huge in number and growing. The impact of this unremarked movement for business purpose, nonetheless is making purpose driven startups attractive takeover targets for the multinationals. The Global Leadership Forecast 2018 found that getting purpose right builds organizational resilience and, crucially, improves long-term financial performance. The study found that the real benefits come when leaders walk the talk by behaving in a manner that exemplifies their organization’s purpose. Founders with a commitment to a commitment to business being for the benefit are the movement for business purpose. The movement attracts attention and sways opinions first, and then ultimately the policies and processes of the managerial cadre of business as a whole. Private citizens are encouraging the success of the movement and thus having a ripple effect of the behavior of the big corporations, since people expect them to be committed to the creation of a better world. This movement for business purpose—as well as profit—gets a fair bit of attention, but much of it is just happening and not ‘proclaimed’ or coordinated. Entrepreneurial firms are in the vanguard of the movement for business purpose, not least because the institutional ownership of the multinational quoted companies has tended to undermine the ethos of capitalism. Faceless third party investors have distanced ownership from responsibility to the world we inhabit. The vacuum is filled by those who create new ventures seeking long term sustainability. It’s true that startups can ‘say it how it is’, since they answer to themselves and not remote corporate or public investors. With a few exceptions, purpose driven entrepreneurs are quietly rebuilding the notion of what being in business is all about, given that entrepreneurialism has been eroded in corporate life. The survival of capitalism, is in my view, in the hands of these pathfinder leaders in the movement for business purpose. My parting shot—for now—is to suggest that you help yourself, by reading Principles by Ray Dalio, of Bridgewater Associates, the hedge fund (yes, hedge fund) he founded in 1975, or by watching his TED Talk, if you prefer. They describe their unique success as the direct result of their unique way of being. They want an idea meritocracy in which meaningful work and meaningful relationships are pursued through radical truth and radical transparency. The movement for business purpose is on its way.